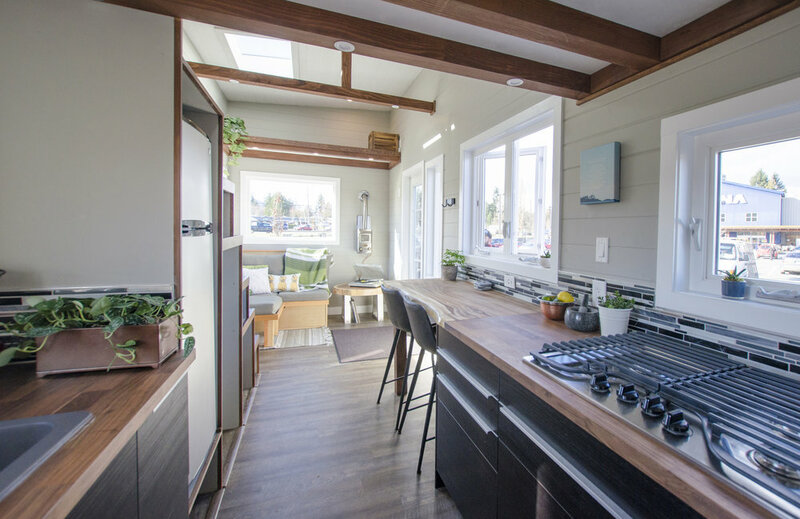 Wood stoves look great and give that cabin feel to tiny homes. If you live somewhere that gathering firewood isn't a problem, a little fireplace might be a great choice for you. They don't require any electricity and put off great heat. I know that a wood stove is on the top of my list! Some people actually have both a wood stove and a secondary heating method (particularly those who are moving around a lot) for times when getting firewood isn't an option. A Norweigan company called Jotul is a popular choice for tiny house enthusiasts because of their excellent craftsmanship and affordable pricing. You can take a look at their products on their Canadian site here. Wood stoves vary in price, but expect to spend anywhere from $500-$1000+. Pellet stoves are a great option for people who want a wood stove but don't have access to firewood. Pellets are made of recycled compressed materials and create less ash and creosote than wood burning fireplaces (meaning less of a fire hazard due to build up). They are extremely efficient and produce very little smoke. The downside to pellet stoves? They require electricity to run and they are pretty darn pricey, running well over $1000. Check out Northwest Stoves for a Canadian source of pellet stoves. 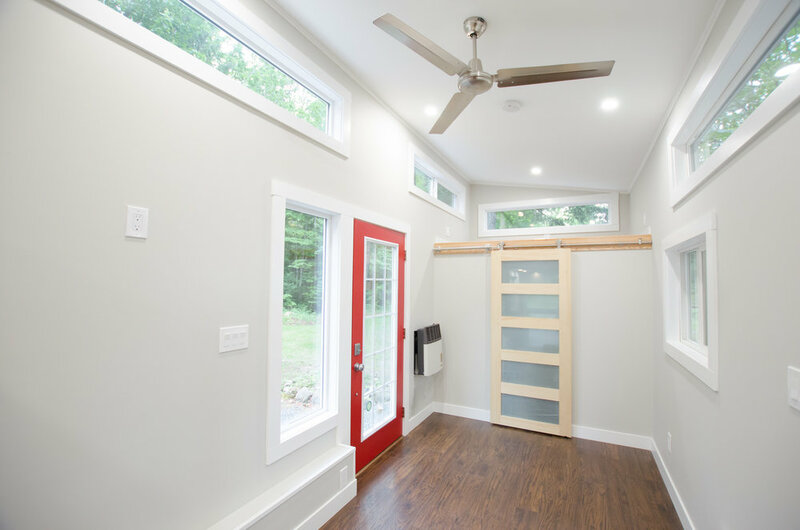 Gas or propane heaters seem to be the most popular heating choice for tiny homes. They are efficient, small, and still have a nice flame to look at. They are also mounted on the wall, clearing up valuable floor space. They are fairly costly (over $1000) but reliable and safe. Dickinson Marine is the place to look for marine heaters, also available at many marine stores. Did I mention how tiny they are??? If access to electricity isn't an issue for you than this is definitely the cheapest method. Any stores like Rona, Walmart, etc have a wide variety of electric heaters, ranging from $50 oil heaters to $400 infra-red heaters. So there you have it! 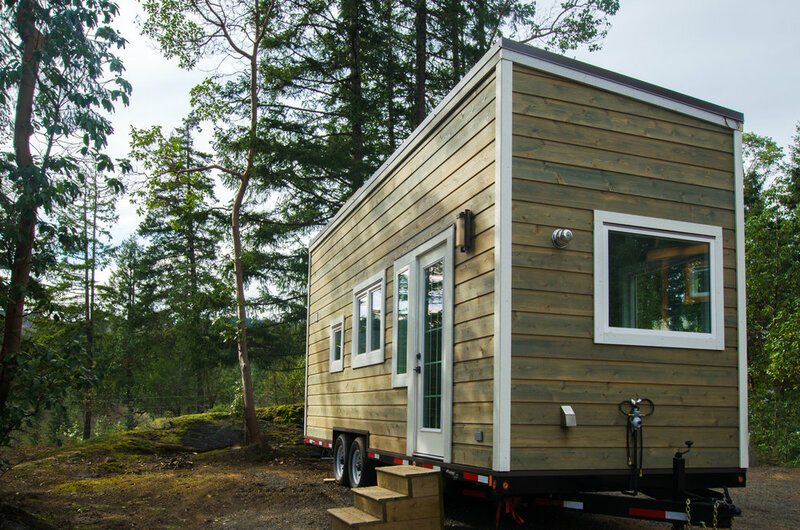 The most common heating methods for tiny homes. Which one is your favourite? Finally, a new blog post! We have been inundated with people getting in touch with us lately and have been doing custom quotes and consultations out the wazoo. Construction on our new build has started now though so no more procrastinating blog updates. The first step in construction is always the same: ordering a custom trailer. Our trailers are all made in Canada and modified right here on Vancouver Island to our specifications. The trailers come with decking on, so once it gets back to the job site the next step is remove it. After stripping off the decking, the floor package is built and secured to the trailer, including weather proofing, insulation, and pressure-treated plywood painted with marine-grade sealant to further protect against our rainy climate. Using pressure-treated plywood gives an extra layer of protection against weather and road conditions. Waterproof house wrap is then laid out to further protect and seal the underside of the floor package, followed by rigid foam insulation and a slight air space. Each piece is sealed to prevent any moisture from penetrating. We make sure to go above and beyond to ensure that there will be no water leakage, especially when building for a climate like on Vancouver Island. Coming up next: framing in the walls! Build update: windows, house wrap, and a door. We have reached lock-up stage! The house is wrapped and sealed with house wrap, and all the windows and doors are installed and fully sealed. Today we are gathering materials for the exterior, which means a nice sunny drive to Duncan. The outside is going to be sided with corrugated tin and accented with cedar, which is going to look great nestled into the forest at its new home. Up next: siding and roofing.